LAUSANNE, Switzerland – Russians won’t compete in the Pyeongchang Olympics under their own flag, if they compete at all, following a decision from the International Olympic Committee on Tuesday. The IOC’s executive board announced that it has suspended the Russian Olympic Committee, a move that effectively bans the country almost two months before the opening of the Games, but created a path for individuals to compete as neutral athletes. Those athletes will be designated as “Olympic Athletes from Russia,” and wear a uniform with that designation. They will compete under the Olympic flag and the Olympic anthem will play at any ceremony. “As an athlete myself, I am feeling very sorry for all the clean athletes from all (National Olympic Committees) who are suffering from this manipulation,” said IOC President Thomas Bach. The decision marked the first such sanction by the IOC for doping. The IOC’s executive board reached the decision after receiving a report from a commission chaired by Samuel Schmid, which confirmed “the systemic manipulation of the anti-doping rules and system in Russia” during the Sochi Olympics. “We have never seen any such manipulation and cheating and this has caused unprecedented damage to Olympism and to sports,” Schmid said. The “Olympic Athletes from Russia” will be determined by a panel chaired by Valerie Fourneyron, the chair of the Independent Testing Authority that was recently established. It’s unclear when that panel will issue decisions on who is eligible to compete, but the IOC criteria require that those athletes in consideration must have undergone all pre-Games testing recommended by a taskforce advising anti-doping efforts before Pyeongchang. The criteria also include that athletes must not have been disqualified or declared ineligible for a previous anti-doping rule violation, a provision that seems unlikely to withstand appeals to the Court of Arbitration for Sport. The IOC attempted to enforce the same criteria before Rio, but a CAS panel struck it down as inconsistent with a prior ruling. Vitaly Mutko, the then Minister of Sport, and Yuri Nagornykh, his deputy, were excluded from the Games for their roles. ROC President Alexander Zhukov was suspended as an IOC member. The ROC will reimburse the IOC for costs of the investigations and it will contribute $15 million to the establishment of the Independent Testing Authority. READ ALSO These fans have endured pain. Will Sabres bring new glory? 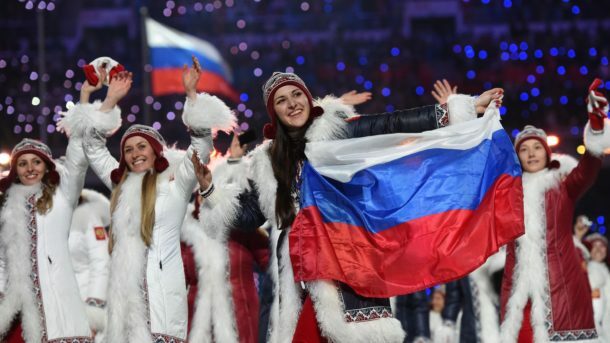 It’s unclear whether any Russian athletes will compete as the country’s officials have said it would boycott if the IOC adopted such a decision. Should Russia boycott the decision, it would mark the first time it has missed the Olympics since boycotting in 1984. “First of all, an Olympic boycott has never achieved anything,” said Bach, a gold medalist in 1976 in fencing who could not defend his title in 1980 because East Germany boycotted. The collective action comes as an IOC commission has disqualified 25 Russian athletes from Sochi, resulting in the loss of 11 medals. That commission, chaired by IOC member Denis Oswald, was tasked with handling individual cases. But in the first reasoned decision released by the Oswald Commission, it accepted the findings in a report from Canadian lawyer Richard McLaren. His report last year that revealed state-sponsored doping in Russia that included sample tampering during the 2014 Sochi Olympics. McLaren’s report showed more than 1,000 Russian athletes were involved in a broader system to dope athletes and cover up positive tests. Ultimately, the IOC’s acceptance of the evidence that Russian had run the system led it to a different decision than it reached last year when it sought to balance collective responsibility with individual justice. Before Rio, the IOC opted not to ban Russia. Instead, it gave criteria about the eligibility of athletes and left the decisions to the international federations that govern each sport. Those decisions were reviewed by the Court of Arbitration for Sport, and a majority of the Russia delegation ended up competing. “At the time of Rio, we have not the opportunity to follow due process,” Bach said. While hewing to the right of clean athletes to compete, Tuesday’s decision placed the collective responsibility on the Russian system. The IOC’s decision is one that had been supported by more than three dozen anti-doping organizations, including the U.S. Anti-Doping Agency. “Over the past three years, a high stakes game of chicken has been played between those willing to sacrifice the Olympic ideals by employing a state-directed doping program to cheat to win and, on the other side, athletes unwilling to stand silent while their hopes and dreams were stolen and the Olympic Games hijacked,” USADA CEO Travis Tygart said in a statement. “Today the IOC listened to those who matter most – and clean athletes won a significant victory.